specially mastered for vinyl by Patrick W. Engel/ Temple of Disharmony, 100% original sound, no remaster! Razor formed in 1984 in Ontario, Canada. Over the decades they have become one of the most legendary North American Thrash Metal bands developing their own unique sound. 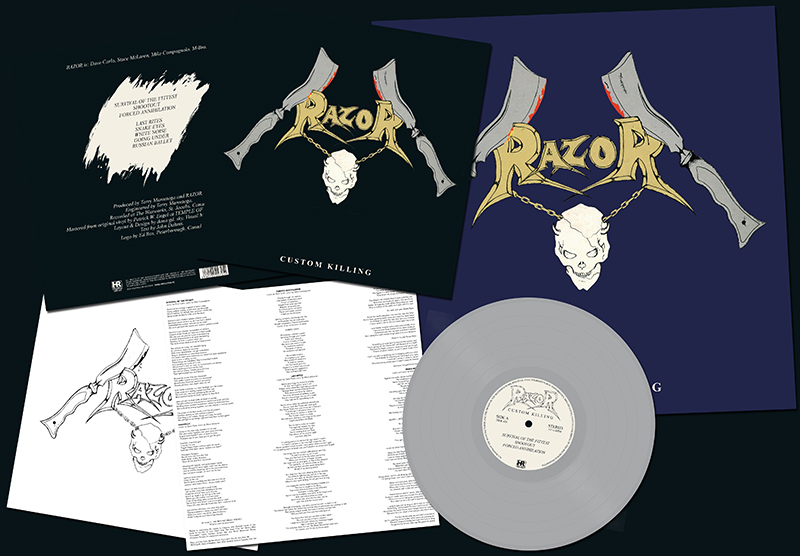 The band's debut was the privately pressed »Armed & Dangerous« EP (Voice Records, 1984), followed by »Executioner's Song« (1985), »Evil Invaders« (1985) and »Malicious Intent« (1986). 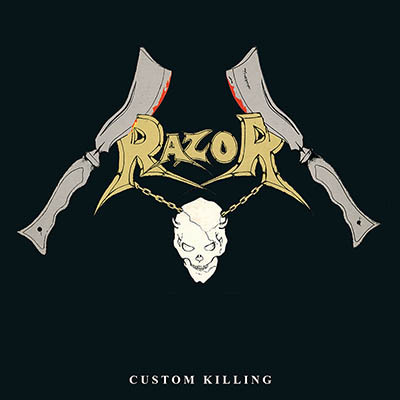 »Custom Killing« was Razor's fourth full-length album boasting Thrash Metal classics such as “Survival Of The Fittest”, “Forced Annihilation”, “White Noise” and “Shootout”. 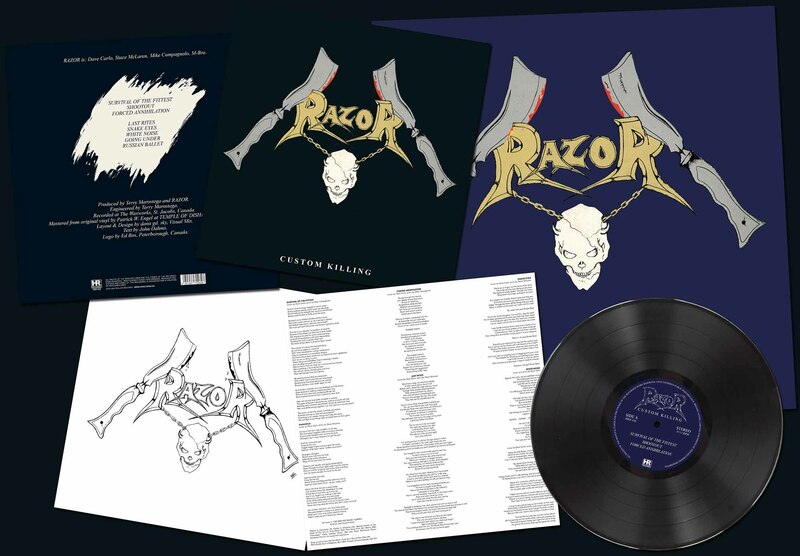 With over eleven minutes “Last Rites” is the longest track Razor ever penned. 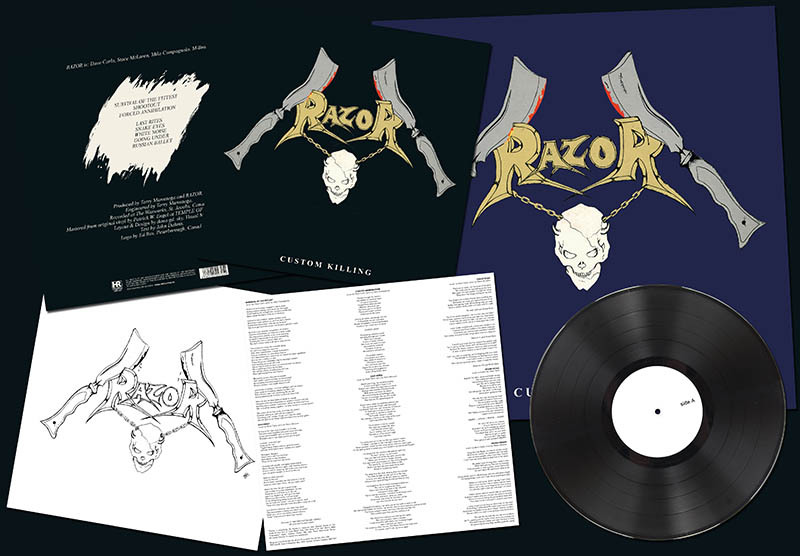 All in all, in Razor terms, »Custom Killing« was more of an “experimental” album for the band and was fairly overlooked upon its release. 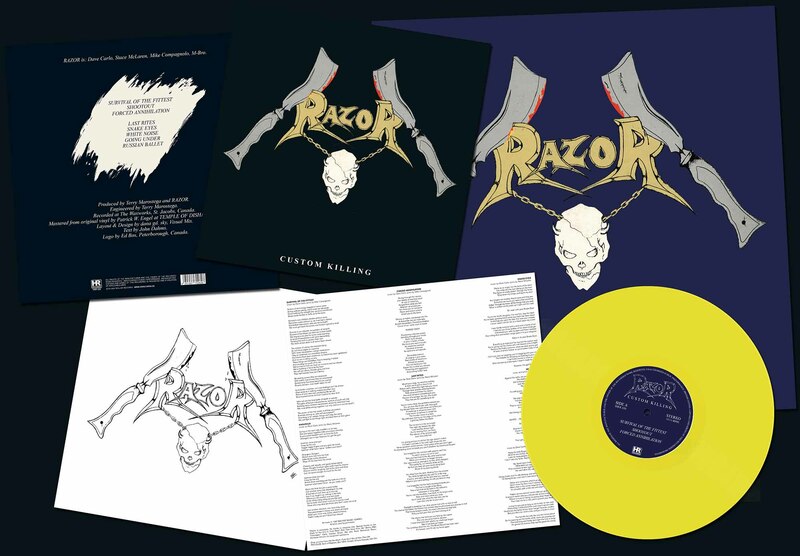 But the truth is that it's probably the most ambitious Razor album in their long history. At forty-six minutes it is certainly longer than any album Dave Carlo and the boys have recorded. 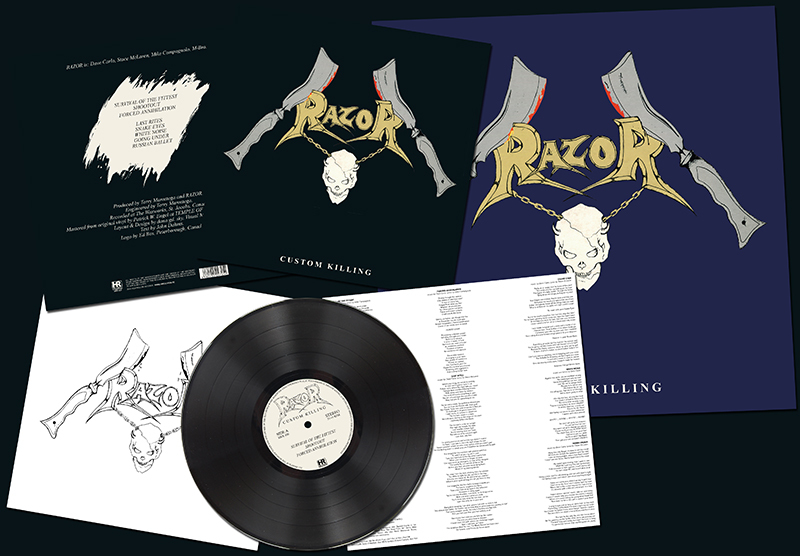 »Custom Killing« was originally released on vinyl via Fist Fight Records in 1987. It's the last album featuring Mike Embro on drums and Mike Campagnolo on bass. For 1988's »Violent Restitution« Rob Mills on drums and Adam Carlo (Dave Carlo's brother) on bass had joined the band. 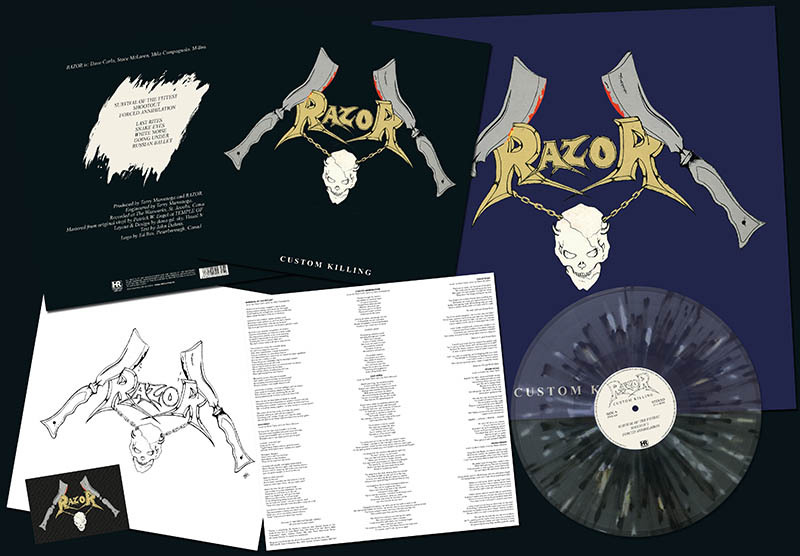 The High Roller re-issue of »Custom Killing« has been carefully mastered for vinyl by Patrick W. Engel at his Temple of Disharmony. The album does feature the original sound and has not been remixed or remastered in any shape or form. Just 100% pure Canadian Thrash Metal!